Anatomy of a Sock/ Kitchener Stitch. 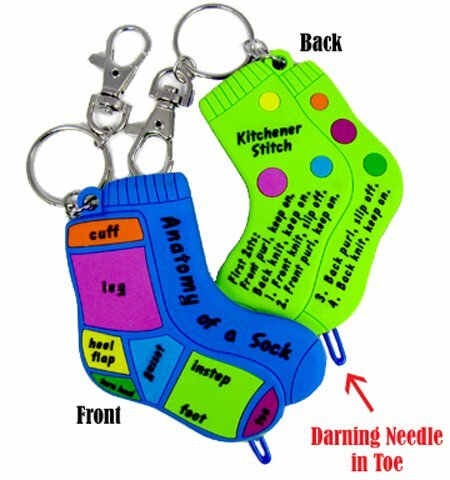 Hook this key chain to your knitting bag or key ring for a handy reminder of the Kitchener Stitch and Anatomy of a Sock. Darning needle included.